As a Do-it-Yourself kit we ship our docks in boxes, all across North America. 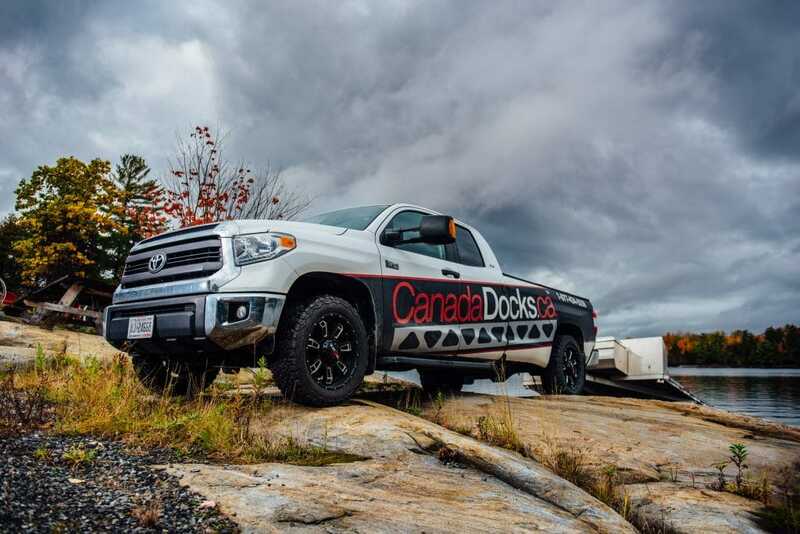 However, in conjunction with assembly service, we offer local delivery of assembled docks to areas that are not already being serviced by dealers in Central Ontario. Areas such as Muskoka, Haliburton, Port Carling, Parry Sound, Gravenhurst, Bracebridge, North Bay, Huntsville, Wasaga Beach, Port Elgin, the Georgian Bay area and more. Fees will vary depending on shipping location, size and weight of the order. Many CanadaDocks™ dealers offer the same service, we recommend checking our authorized dealers page to see if there is a location near you. Most of CanadaDocks™ products are designed to be assembled by the customer as a Do-it-Yourself kit. However, if you prefer, you can have one of our trusted professionals assemble your docking system right here in our shop. 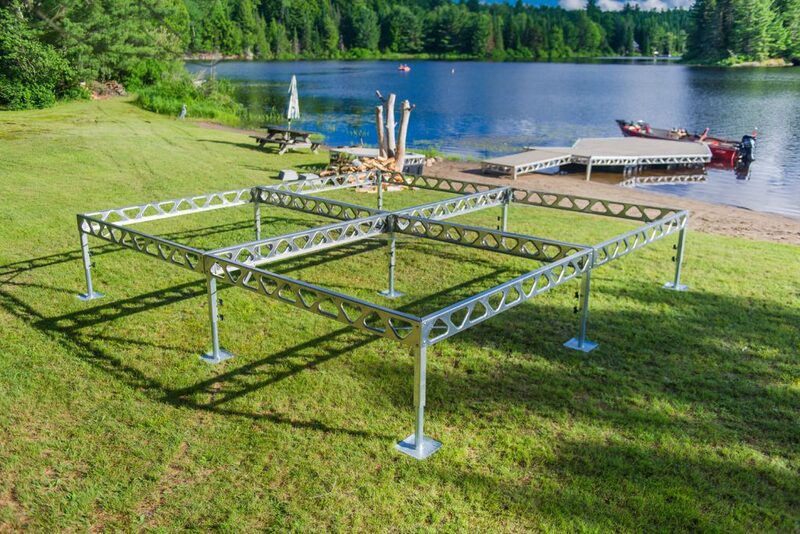 For an additional fee CanadaDocks™ technicians will assemble your dock in our warehouse location. This price includes the assembly of the frame, joists and decking as a complete kit. You may then take advantage of the delivery services we offer or pick up the dock at the CanadaDocks™ Beeton, ON location.